You need your boiler most during winter season. Since you are not likely to use your boiler during summer, you may not notice any boiler breakdowns until winter. 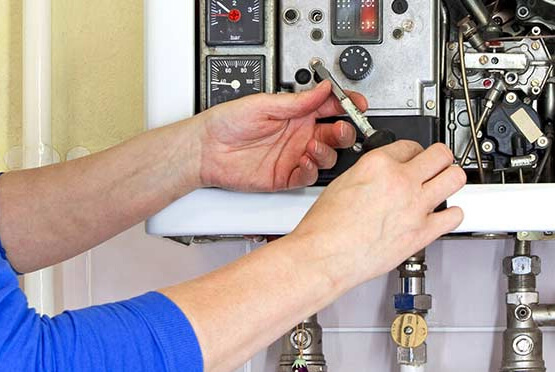 Many home owners forget about their boilers during the other seasons and that is why the number of boiler repairs increase significantly during winter. Sometimes it is challenging for you to identify the cause of boiler breakdown, especially if you do not have any training on boilers. However there are some physical signs that signal a broken boiler, but you need to be keen to identify them. Observe your energy bills; if the bill increases gradually, it is a sign that your boiler is consuming more energy than before. Examine the pilot light; if it keeps going off, then your boiler has a problem. Other signs are a yellow flame, ticking noises coming from your boiler and a stained boiler. Do not wait any longer if you identify these signs; call us as soon as possible for our prompt repair services. Do not be alarmed if you do not see the signs but you suspect that your boiler needs repair; this is where our specialists come in. They provide very accurate boiler problem detection expertise and no issue will go undetected. The issues identified are repaired immediately. We can handle minor and major issues boiler repairs. After you identify that your boiler has a problem, you should look for an expert in boiler repair. Look for a company that will respond quickly and fix the problem the same day: call Eco Efficient Dundee. Our engineers are available 24-7 basis and are waiting for your call. We provide a one-time service without the need for repeat service. Our team of local engineers is available for service in Tealing, Monifieth, Ninewells, Longforgan, and Monikie areas. They are all Gas Safe Registered and will restore your boiler in minutes. All our services take the shortest time possible. We will provide free boiler money saving tips. For easy identification, our engineers are in uniforms and they carry work Ids. We will provide transparent information about our services and charges. Eco Efficient Dundee is your heating partner! We have been vetted, authorised and acknowledged as the best boiler installation company in Dundee. Talk to us today and get the best boiler repair services!